Christmas Trial – Who Really Wrote 'Twas The Night Before Christmas? Who really wrote “A Visit from Saint Nicholas”? 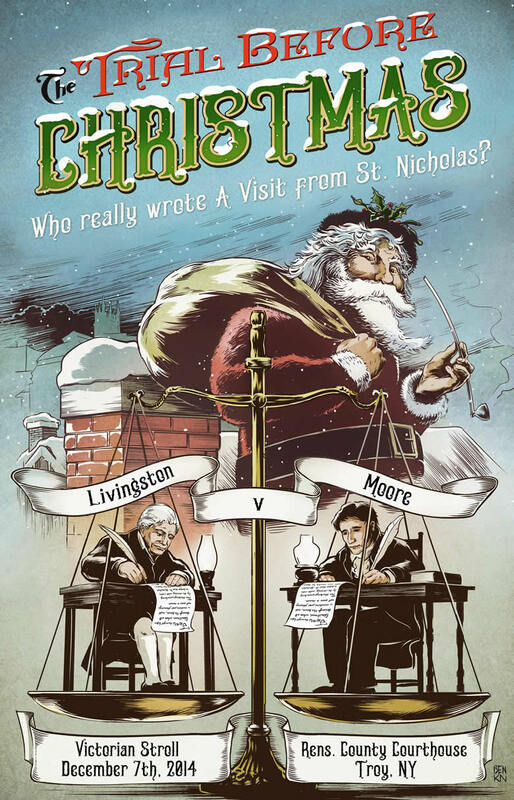 An annual juried courtroom trial aims to solve a centuries-old controversy over who really wrote one of the most beloved holiday poems in the world. “A Visit from Saint Nicholas” a.k.a. “‘Twas the Night Before Christmas” was published anonymously for the first time ever by the Troy Sentinel newspaper on December 23, 1823. Clement Clarke Moore, a wealthy biblical scholar of Manhattan, later claimed authorship and has been officially credited ever since. But Henry Livingston Jr., a gentleman farmer of the Hudson Valley, may have been the true, unrecognized author, according to his descendants.